It certainly looks like a LS 160 but I just wanted to double check, and see if anyone had thoughts on it, as I am living in Australia and will not be able to see it in person. 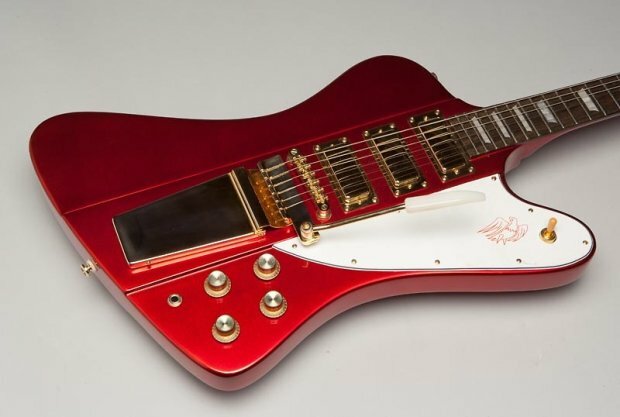 Reverb is also selling a MIC Tokai Firebird for almost 1600.00. MIC hasn't achieved that kind of status yet, no? Interesting, about the size restrictions. I am going to do research on that, I wouldn't think that would apply to UPS/Fedex though, but they'd certainly be more pricey, ugh. "Thanks for inquiring. I had Six of the Firebirds Custom Made by Tokai China, as Tokai Japan refused to make them for me, because of the Lyre Tailpiece. They were about $1250 shipped. Japan would have made them with a stop tailpiece at the cost of about $2700-2800, without the custom made Tokai gig-bags which run about $120. They would retail for $3600-4200. The quality over at Tokai Japan is second to none. We are extremely satisfied with Tokai China...."
Do tokais make neck-thru firebirds? Or is it only a set-in neck as it's a chinese model? "I've sold 4 and have 2 left... Apparently, you do not get to deal with on a personal or business level... The mic guitars are superb... Yes, the mij model is great... I'm the only source of Tokai in the US. I can order LP's for 10k if I wish... You not having direct contact with Tokai would not know that.."
Cheers guys. Looks like I'll be purchasing my first Tokai! About the size restrictions I don't think there is, my brother has purchased from the US before with no problems. Make sure they pack it well. Let us know how you make out.